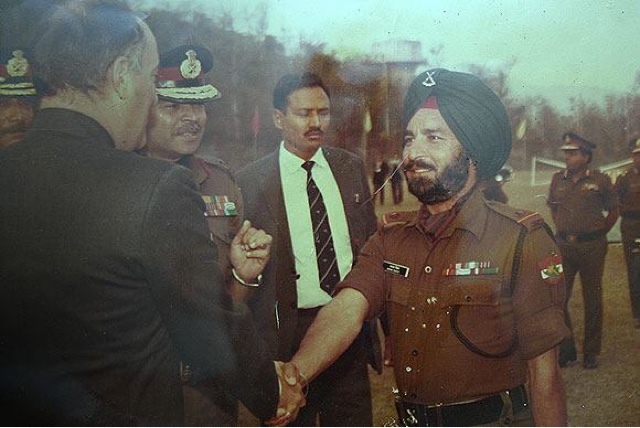 Honorary Captain Bana Singh won the Param Vir Chakra, India's highest ranking gallantry award, for recapturing a Pakistani post on the Siachen Glacier. Living a retired life in a quiet village in Jammu and Kashmir, he makes you feel that his act of phenomenal courage was part of a soldier's day at work. In a country which has only three living winners of the Param Vir Chakra, it is a rare honour to meet one. "It is an honour to meet you, Sir," we say and Param Vir Chakra winner Honorary Captain Bana Singh replies, "What I did was my duty to the country. I was given a task and I did it." There is no trace of arrogance that a decorated soldier would perhaps be fully entitled to -- he should after all be an icon of courage in a nation woefully short of heroes -- but Captain Bana Singh makes you feel that what he did was part of a soldier's day at work. The difference being that when he set out for work that morning 29 years ago he was at the world's highest battlefield on the Siachen Glacier, leading an operation to recapture a Pakistani post at a height of 21,000 feet, scaling vertical walls of ice 1,500 feet high under blinding snowfall. Pakistani troops sat on top of this brutal climb as Bana Singh and his men launched a brilliant attack, clearing the post of every Pakistani soldier, setting an example in high altitude warfare which would bring him the country's highest ranking gallantry award. The man sitting in front of us in his modest village home flanked with green fields, dressed in a simple pyjama and light sweater, had not only defeated the enemy but nature itself on the most vicious battle terrain known to man, one that has taken the lives of countless Indian and Pakistani soldiers. "'Three months in Siachen are like 30 years', a colonel once told me and asked, 'How did you do it?'" remembers Bana Singh who some years ago was invited to speak to young men in Siachen, soldiers not even born when he had won the Param Vir Chakra on that ruthless terrain. Much has changed at the glacier since Bana Singh's time; men now have better gear, equipment and food, but Siachen continues to be an unimaginable challenge for military and human survival. A landscape where men guard the frontlines at temperatures below minus 52 degrees Celsius that saps the body of energy and hunger. It was here that Naib Subedar Bana Singh fought the battle of his life. 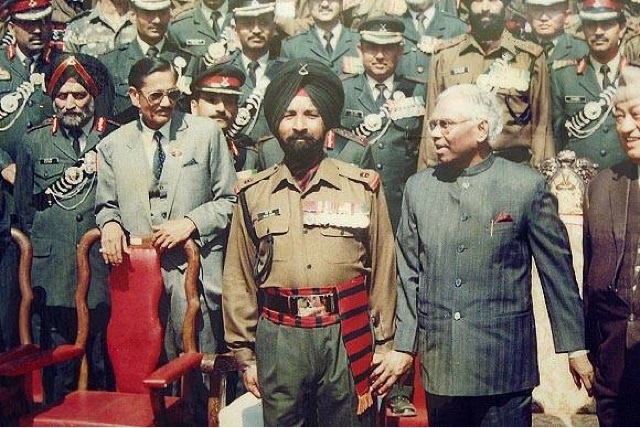 Honorary Captain Bana Singh, Param Vir Chakra, Bana Singh, 8 J&K Light Infantry, with then President K R Narayanan. Photograph: Kind Courtesy, Captain Bana Singh. The scale of his heroic accomplishment cannot be understood without the back story. Pakistani soldiers were entrenched on the highest post in the Siachen Glacier, so important that it was named the Quaid Post, after the founder of Pakistan, Mohammad Ali Jinnah. From here the Pakistanis had a vantage point, with a clear view of Indian posts that were supplied only by helicopters. By controlling that post Pakistani soldiers targeted the Indian supply lines on the Soltoro range. India had failed to recapture the post in two previous attempts; a reconnaissance patrol under young Lieutenant Rajiv Pande was gunned down by the Pakistanis, leaving only three survivors. In a do or die attempt, then Subedar Bana Singh and 6 men were tasked to recapture the post once again on June 26, 1987. If the mission had to succeed it had to be completed before sunset that day -- and by 5 o'clock that evening, the Indian flag was flying at the top. ,font size=7>India had won back the Quaid Post in a battle so heroic that the post was renamed Bana Post, by which it is known till today. 'There was a single bunker on the top. I threw a grenade inside and closed the door. At the end, a total of six Pakistanis were killed,' he had told Rediff.com contributor Claude Arpi in 2007. Claude's wife Abha Tiwari's maternal uncle, Major Somnath Sharma, incidentally won the first Param Vir Chakra. Major Sharma died fighting Pakistani intruders in Badgam in the Kashmir valley in November 1947. Honorary Captain Bana Singh, Param Vir Chakra, Bana Singh, 8 J&K Light Infantry, with then prime minister Rajiv Gandhi. Photograph: Kind Courtesy, Captain Bana Singh. Captain Bana Singh is the only soldier along with the late Major Ramaswamy Parmeswaram, to be awarded the Param Vir Chakra in peacetime, an award which is otherwise only given for exemplary military courage during war. Major Parmeswaram, 41, was martyred during the Indian Peace Keeping Operation in Sri Lanka in 1987, five months after Bana Singh's heroism in Siachen. The last time the Param Vir Chakra was awarded was in the Kargil war in July 1999; at that time Bana Singh was the only serving Param Vir Chakra winner in the Indian Army. Looking back at the Kargil conflict in which India lost 527 soldiers, he feels that that war changed many things for the armed forces and compliments then prime minister Atal Bihari Vajpayee and then defence minister George Fernandes. "It was only in Vajpayeeji's time that we acquired the facilities of proper transportation of the bodies of fallen soldiers home," he says, surrounded in his home by India war memorabilia like the historic surrender of the Pakistani forces in Dhaka after the 1971 war and photographs of two famous Indian generals -- Field Marshals K M Cariappa and S H F J 'Sam' Manekshaw. "The Kargil war highlighted the entire fauj. The media also played a role and as a result martyrs' families are looked after much better than before." A year after Kargil, he retired after 32 years of service to the nation and went home to his village of Kadyal near Jammu where he was born. His son Rajinder Singh now serves the Indian Army. 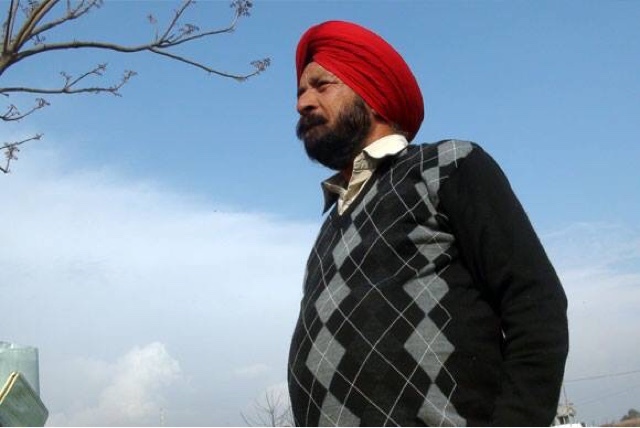 For a decade after his retirement, apart from his pension from the Indian Army, Captain Bana Singh would receive Rs 160 as pension from the Jammu and Kashmir government. A sorry comment on that state's regard for the only Param Vir Chakra from Jammu and Kashmir. It was only after a long and sustained effort that the Jammu and Kashmir pension was raised to Rs 10,400 in 2010. His pension from the army is Rs 32,000 per month. "People say I have set an example and I say I don't know how I did it, but I am proud to have successfully fulfilled the task my unit gave me," says Captain Bana Singh in his small drawing room festooned with army felicitations. "I have received a lot of respect and fame from my country. It is a blessing." Every year, Bana Singh is invited by the government to be part of the Republic Day parade, in the small contingent of soldiers awarded the highest gallantry award. It is a day when the soldier, who retired from the Indian Army in 2000, wears his full uniform, puts his Param Vir Chakra medal and salutes the President on Rajpath in the country's grandest parade. In all these years, he has missed just two parades, he says and tells us a story reminiscent of days past when some men lived their whole lives on words like honour, duty and discipline. 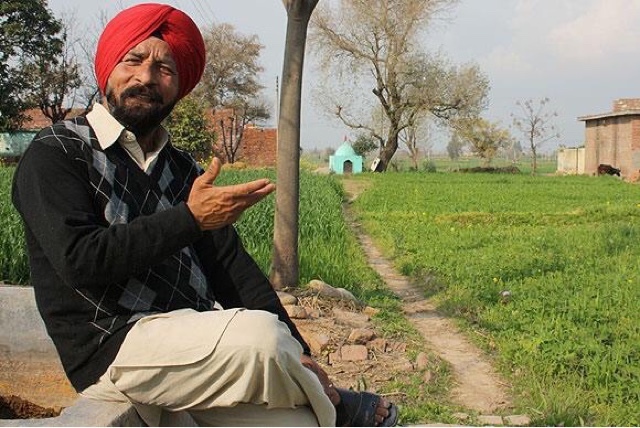 Sitting on a small water tank in a field behind his house, Captain Bana Singh speaks of one such incident when a few years after his retirement, a retired senior army officer whom he had served under stopped by at his home. "He looked at me and asked 'Bana, do you remember me?' and I said 'Sir, if an Indian soldier cannot recognise an officer who has commanded him, he has no right to this country'." In a nation overdone with places named after politicians, the long overdue Bana Singh stadium in his native tehsil may yet not be fully functional -- but Captain Bana Singh Param Vir Chakra is not one to get perturbed about any such lack of recognition. That afternoon when we had came looking for his home, we only had to ask for his name and people would lead the way. Later, as he bade us good bye, the postman dropped by with an envelope, bearing only his name and the village name as the address. "Someone is inviting me to speak to their students and inspire them. I travel at least ten times a year for interactions in schools and colleges," he smiles, folding the letter neatly, overwhelmed with the respect he has got from people over the years. On his school visits, children want to know how he won that battle in Siachen for India; how he conquered fear. At other functions, people touch his feet in respect of his valour. The recognition is unbridled and comes to him spontaneously. No officially named plaque, road, bridge or stadium can rival that.